American nurse Nina Pham is the second health worker to contract Ebola outside of West Africa while caring for patients with the virus, despite using personal protective equipment. Authorities were quick to attribute lapses in protocol for Pham’s and Madrid nurse Teresa Romero Ramos' infection. But inadequate guidelines for personal protective equipment (PPE) may equally be to blame. 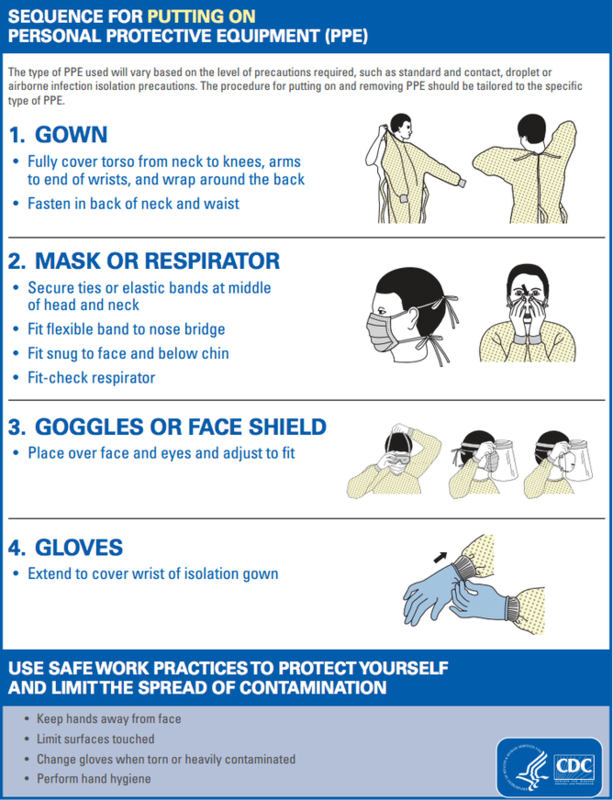 The World Health Organization (WHO), United States Centers for Disease Control (CDC), Australia and many countries recommend health workers treating Ebola wear surgical masks for protection, along with other personal protective equipment such gowns, gloves and goggles. 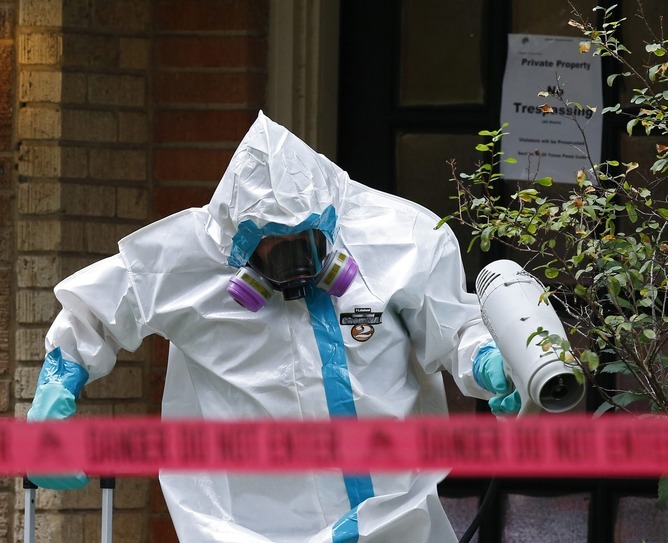 A glaring inconsistency of these guidelines is that lab scientists working with Ebola are recommended to use respirators, which offer more protection than surgical masks, while masks are deemed adequate for doctors and nurses at the front line. The hospital ward, however, is a far more contaminated and volatile environment than the sterile, highly controlled lab. Nurses have the closest contact with patients, and deserve all available protection for their occupational health and safety. This means higher personal protective equipment, including respirators. The CDC’s most recent guideline update for putting on and removing protective wear suggest the second glove can be removed by hooking a bare finger under the glove (risking contact with the outside of the glove which could be contaminated), and does not mention protective boots at all. Non-government organizations such as Medecins Sans Frontieres (MSF), however, have more comprehensive Ebola-specific protocols on glove removal, footwear and the use of respirators. Ebola kills 50% to 90% of people who become infected, which is much higher than any other infection we are used to dealing with. The 2009 influenza pandemic killed less than 0.01% of those infected, and SARS killed 15%. The price of getting it wrong with flu guidelines might be a week in bed, but for Ebola it is far more likely to be death. The risk analysis equation we need to use must consider not only the probability of Ebola turning up on our shores, but also the consequences. The current West African Ebola outbreak has caused more than 8000 cases and more than 4000 deaths, with the epicenter being Guinea, Sierra Leone and Liberia. Official figures are underestimated because many cases are not reaching health-care facilities or being reported. As the epidemic increases exponentially in West Africa there is a risk of imported cases occurring around the world. The first of these was in Dallas, Texas, but countries everywhere are on the alert for suspected cases. Experts have estimated that the risk of a travel-related case being imported into Europe is up to 75% by the end of October. It is the first time Ebola has been transmitted from person to person outside of Africa. Health authorities such as the US CDC are conveying certainty that Ebola cannot be transmitted by any means other than direct contact. But it’s a very poorly studied infection compared with other diseases and the sum of the evidence shows significant uncertainty around transmission. The prevailing view is that infections can only be transmitted by one of three mutually exclusive routes – contact, droplet or airborne. But this is based on experiments from the 1940s and 50s using blunt instruments. There is plenty of evidence that pathogen transmission is far more complex than this, and that most pathogens can be transmitted by several modes. Take influenza, for example. While the predominant mode of transmission of Ebola is contact, some scientists believe it could also be spread by aerosols. 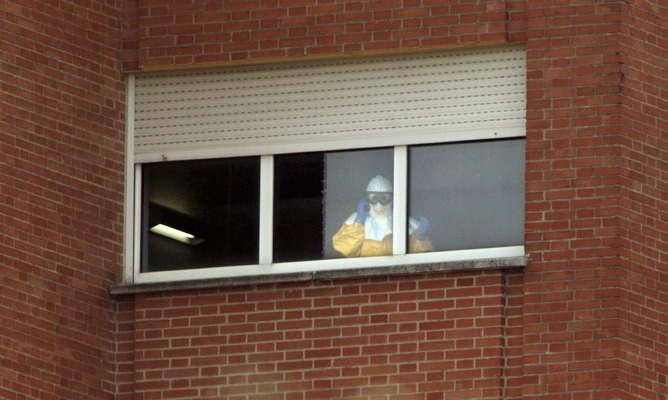 Studies in monkeys (here, here, here and here) and pigs have demonstrated non-contact transmission of Ebola, which could be airborne or aerosol. There is little research in humans, but in a 1995 outbreak in the Democratic Republic of Congo, five people contracted Ebola without reporting any direct contact with the index patient. The estimated infectious potential of Ebola in West Africa is similar to influenza. Each person with Ebola infects, on average, two other people, which is similar to estimates for the last pandemic of flu. It is a mystery why an infection that is supposedly only transmitted by contact has such a high infection rate. Around 400 health-care workers have contracted Ebola during this outbreak, many of whom are unsure how they were infected. Dr. Kent Brantley, for instance, is certain he did not get infected in the Ebola ward, as he used strict personal protective equipment. He guesses he might have been infected elsewhere, such as the emergency room. Dr. Sheikh Hummar Khan was the leading viral haemorrhagic fever expert of Sierra Leone, who had already treated over 100 Ebola patients using full personal protective equipment when he died from Ebola. Lapses in infection control protocols, such as mistakes when putting protective equipment on or taking it off. Inadequate guidelines that are failing to protect against other (non-contact) modes of transmission. Health workers are becoming infected somewhere other than where they’re in direct patient contact (where they do not expect to be at risk). This is possible in West Africa with such a large scale epidemic, but is unlikely in the United States and Spain. There is no scientific evidence to explain why health workers using personal protective equipment are becoming infected, and nor has there been a reasoned approach to trying to explain it. Instead, the blame has been placed on the health workers for lapsing in personal protective equipment protocols. It was reported Ramos might have touched her face with a glove as she removed her personal protective equipment. In epidemiology, we are concerned about recall bias: the tendency of people with an illness to recall perceived risks more than well people, when prompted with a leading question. It is not hard to imagine that this nurse, perplexed about how she might have been infected, would have been susceptible to such a leading question. Rather than guesses, we need a reasoned, scientific approach to establishing which of these explanations – and it may be a combination – are responsible. Personal protective equipment guidelines should not be based on presumed mode of transmission alone, but also on uncertainty around transmission, on the severity of the disease, on health worker factors, and on other available treatments or preventions. If MSF has more comprehensive protocols on protective wear, it is hard to understand why Western countries are not heeding them. Many dedicated health workers around the world are assisting with the response to Ebola. Some responders are non-clinicians, and that some clinician responders do not have extensive infectious diseases training. There is a clear occupational health and safety risk to health workers from this deadly disease, which is concerning. To better protect health workers from Ebola, the ARM network, a group of Australian epidemiologists with skills in infectious diseases, is offering a free workshop on Ebola infection control to supplement routine training provided by deploying non-government agencies. The workshop is for people intending to deploy to West Africa for the Ebola response. But due to expressions of interest, we have opened the workshop to domestic first-line responders (GPs, nurses, paramedics, police, defense, emergency workers) in Australia who may be faced with a local case. In most responses, lack of knowledge about infection control may not be critical, but in the case of Ebola it may cost lives. If even one person learns something at this workshop which enhances their occupational health and safety, then we would have provided something useful for Australians involved in the response. The ARM training workshop for Ebola responders will be held in Sydney on Friday 24 October from 9am to 4.30pm. Register your interest at info@arm.org.au. C Raina MacIntyre, Professor of Infectious Diseases Epidemiology, Head of the School of Public Health and Community Medicine at UNSW Australia, receives funding from the Australian Research Council Linkage Grant scheme with 3M as the industry partner.